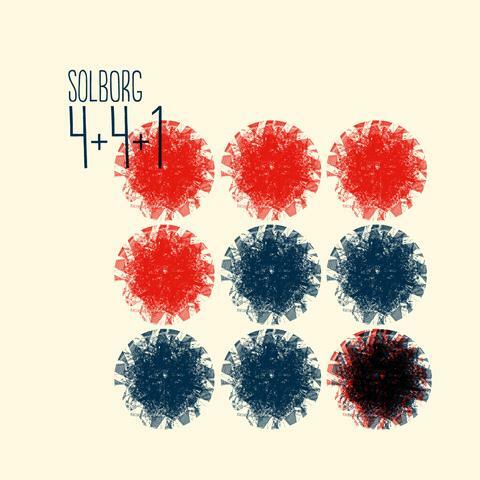 Recorded as part of the 2010 Copenhagen jazz festival, this is a live album led by Danish scene mainstay, guitarist Mark Solborg. It’s a mostly Scandinavian double quartet – woodwind, guitar, bass & drums augmented by extra brass – plus the NY-based avant-jazzer, Chris Speed. The opener sets the tone in terms of sculptural dissonance: delicately constructed, pattering drums, an underlying mournful clarinet and stabbing drones leading to periods of free soloing. It is neither foot-tapping nor finger-clicking but instead hews to a long tradition of eschewing standard musical trappings. In music of this type (and if you’re with me enough to grant it the title “music” you’ll probably follow me further) it’s about energy, shape, passion and evoked emotion. This set is all about ebb and flow. Every piece is inevitable and seamless in its progression – often glacial, sometimes plastic, at others driving – the sense of dynamic movement is relentless. It so happened that while listening to this album I was in the middle of reading an H.P. Lovecraft collection. Although the music is considerably less baroque than the Lovecraft literary style, it does at times provide a modern version of the general air of eerie and weird foreboding and otherworldliness conjured by Cthulhu et al. This is rarely jolly music. It is, however, if you are prepared to give yourself up to the ritual, a moving and evocative experience. Solborg’s aural adventuring and clear-headed experimentation has led him into the outer territories of ‘no (jazz)man’s land’ and back again, returning with a mix of strange juxtapositions and compositions. I, for one, am glad he made the journey.